We are humans and have the habit of forgetting things. So it becomes necessary to set follow ups for yourself and for others. You can link your follow ups with anything. You can set alerts for your follow ups too. 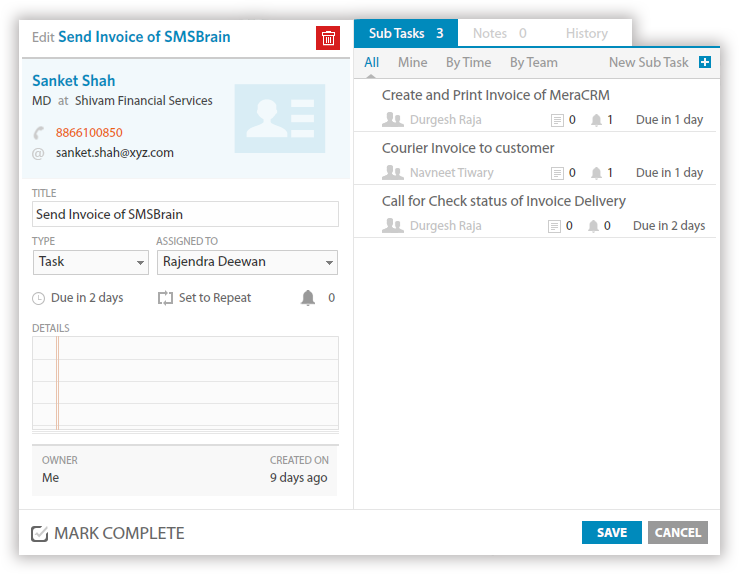 You can set different types of follow ups like send SMS, call, meeting, etc. 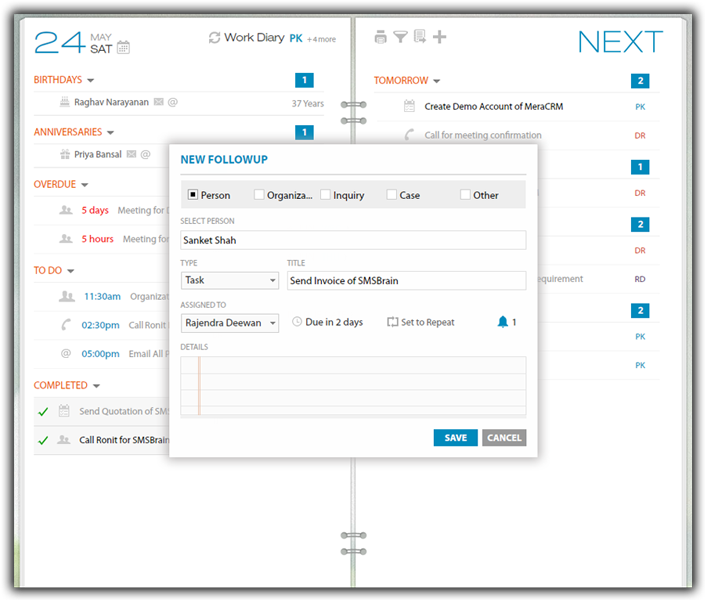 Quickly postpone follow ups can postpone follow ups. 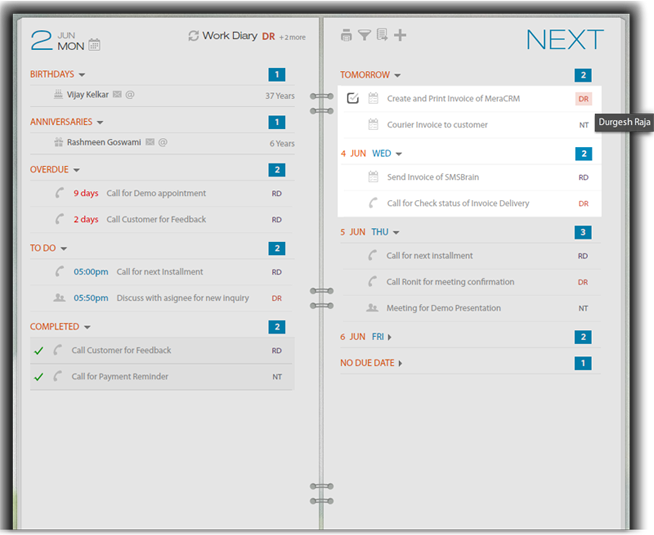 You can even create subsequent follow ups while closing the present one. associated with a particular customer. that have been assigned for tomorrow.